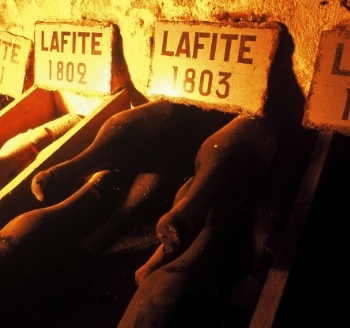 The wines in this list represent the 10 most powerful fine wine brands in the world this year. The full list, which ranks the 100 most powerful wine estates around the world each year, is compiled by Liv-ex. The position of each wine is dependent upon five criteria. First of all the performance of the five most recent vintages of the estate on the Liv-ex index over the year from August 2010 to August 2011 in terms of monetary value. Each wine is then given a ranking according to the average scores of those five vintages either from Robert Parker for Bordeaux or Burghound from Allen Meadows for Burgundy. Thirdly the average “best price” as based on merchants’ lists for those five vintages is compiled. To measure performance the average price for a case of wine a year ago was compared to its current price. The bigger the increase, the higher the ranking. The last calculation involved multiplying the average price with an average weighted production. Finally the rank numbers for each brand were added up and the lower the overall score the higher the brand was ranked. As will be seen from the lists, it is very easy for wines to rise and fall on the list and not being the top ranked in every category is no barrier to a high placement on the list. It must also be stressed that this is only the list for this year. Fluctuations in markets, changing consumer tastes and interest in other brands between now and next year could present us with a very changed line up when the list is next released. The list here is presented from number 10 to number one.